My trip to Sea Island turned out to be a fruitless one. My poor first round left me with too much do to make the cut. It was a long way to go to miss the cut, especially after playing so nicely in the second round. On Thursday I played the Plantation course. It was very windy and cold, just like a day at home. I got off to a bad start on my first hole by three putting for bogey and from there I never got anything going. Even if I could have finished at level par it wouldn’t have been too bad, but a double bogey on my 14th put paid to that. On Friday I played very nicely, in fact I was first in strokes gained from tee to green for the day. The funny thing is that I felt that I could have hit my iron shots closer. I made four consecutive birdies from the 5th to get me to one under for the tournament. I have to say going out I thought that if I got to one under I would definitely make the cut but the scoring was very good and I needed to find another birdie, but unfortunately I wasn’t able too. My best chance came on the 15th, but I three putted for a par. In the end I shot 4 under and missed the cut by one shot. It was disappointing to miss the cut after going so far to play, but the fact I played well on Friday eased the pain. That’s my 2018 season over now. It’s been a funny season in that my results were poor through the PGA Championship, but from there on I played a lot better and had a couple of chances to win. What I saw in my game for the last couple of months has me excited about 2019 – my long game is in good shape, my putting has been a lot better of late and with the work I will doing over the winter it will all only get better. I’m now looking forward to my winter break. I’ll be relaxing for a while and then getting back into practising as I have identified a few things that I want to work on. Heartbreak for Padraig as he misses the cut by one shot after playing some fine golf to shoot a four under par round of 66. He got off to a quiet start with four pars but then reeled off four consecutive birdies to be out in four under par. He recorded nine straight pars on the back nine but had three great chances coming home to progress. He three-putted the par five, 15th hole, and missed two twelve foot putts on the 16th and 18th holes. All in all, a disappointment as he played so well in his last tournament round of the year! Padraig opened his account at Sea Island with a disappointing round of three over par 73. 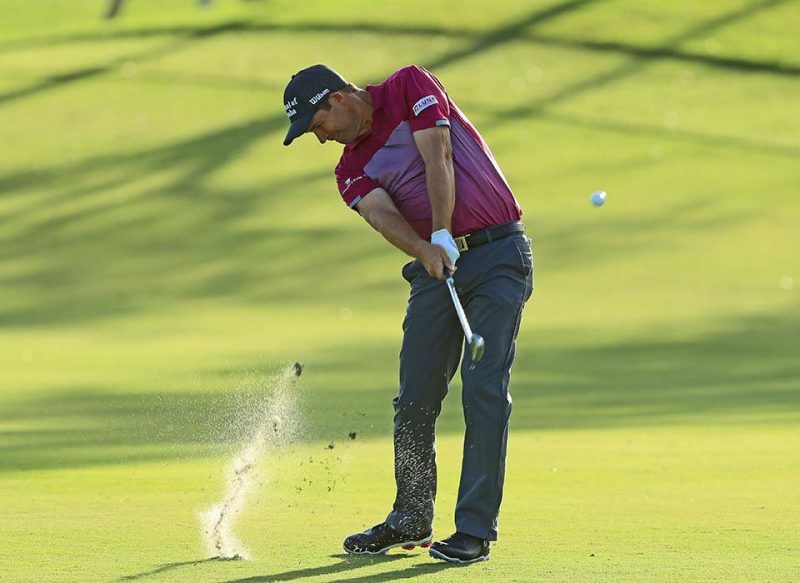 It was a very mixed bag on the day with four bogies, three birdies, and a double-bogey six on the par four 5th hole where he had to take a penalty drop. He tees off Friday at 11.20am local time and will be hoping for a low round to make the cut. Eight under par leads the tournament. Padraig is back on the PGA Tour for the last event of the 2018/2019 schedule until the season resumes again in January! The RCM Classic is played over two courses at Sea Island, the Seaside and the Plantation courses. Five of the last six champions here were first-time winners, with Austin Cook, (a Tour rookie), the defending champion. Padraig tees off at 10.20am local time with Ollie Schniederjans and Alex Cejka! After 30 hours of travelling I made it from Sun City to Sea Island for the RSM Classic. It is my final tournament of the year and my first tournament of the 2019 season on the PGA Tour. This week, like last year, we are playing two courses. Luckily I was able to get a round on each in practice. On Tuesday I played the Seaside Course, which is the main one, and on Wednesday I played the pro-am on the Plantation course, which we play only once in the tournament. On Tuesday the weather was great and actually felt warmer than it did in Sun City. I got 18 holes in and did some practice afterwards. I was happy with how I hit the ball and there was nothing sticking out that needed work. I spent some time working on distance control with my irons and then some time on the putting green. It was a tough day as I was a bit jet lagged and there were a few times when I felt like I could lie down on the ground and go to sleep. On Wednesday I played the pro-am on the second course. I don’t know that well so it was good to get out on it. There are a few tricky holes that you need to play well and if you do then you are in a good position to shoot a score. When we started out it was a little cold and windy and as the the day progressed it got worse. It was a real Irish day – dark, wet, windy and cold. It was so miserable that I didn’t hit any shots on the range afterwards. I spent a little bit of time chipping and putting and then headed to the cinema for the afternoon. My game is in good shape and the work I have done on my putting is working. I’m looking forward to playing this week as I like the courses and I am feeling good. With how my game is and the way I have been playing the last few weeks I’m actually a little disappointed that my season is coming to an end. Don’t get me wrong, I’m looking forward to my time off but it feels to me that I am just coming into a run of form. It certainly has me excited about next season. With two courses it means that the tee times are very sociable. In playing with Alex Cejka and Ollie Schniederjans at 10.20am on the Plantation Course on Thursday and then at 11.20am on Friday on the Seaside Course.